The Ink Squad is ready for action! I just love the cool blue color zinging across this card. She used glossy accents to give them a little shine, as well as a cool dimension. 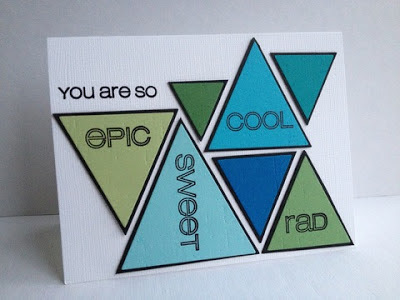 Loving the triangles on this one! The sentiments look awesome stacked in. Both these cards could easily switch gears to girl them up by changing to pink tones. These are both awesome but I really love the triangle card...fabulous! 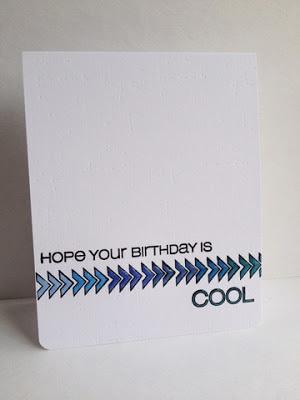 Super cards - love the colours and the clean, crisp designs!